Vladimir Putin today lashed out at the spy poisoned in the Salisbury novichok attack, branding him a ‘scumbag’ and a ‘traitor’. The Kremlin has denied it was behind the nerve agent attack on Sergei Skripal, a former double agent who sold Russian secrets to the British. But former KGB agent Putin reaffirmed his views on those who betray Russia today in a furious outburst about Mr Skripal. His angry comments give a rare insight into Putin’s views on Skripal – whose assassination he is accused of ordering. Putin also made an apparent reference to Dawn Sturgess, the British mother-of-three who died after coming into contact with novichok in the wake of the attack. Chuckling, Putin said: ‘If we say that Skripal was poisoned, are you saying we poisoned some homeless person there too? ‘Sometimes I’m amazed by what’s going on around this case: so some guys came to Great Britain and started poisoning homeless people? What nonsense! They work for a clean-up service, do they? On Skirpal, he added: ‘This is a traitor, he got caught, was punished and spent a total of five years in jail. We let him go. That’s it. 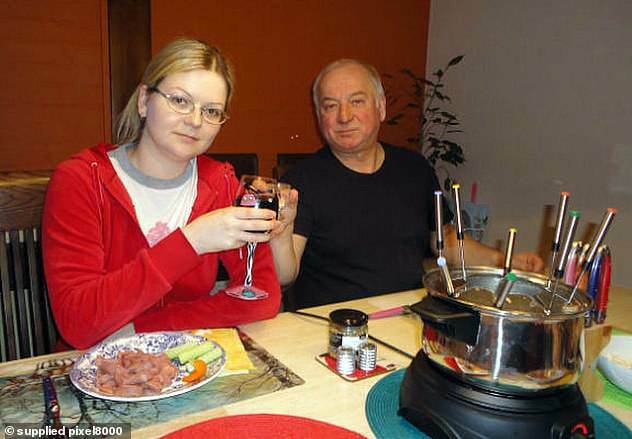 It was the first time Mr Putin has directly condemned Mr Skripal, who spent weeks in hospital with his daughter Yulia after both were poisoned in Salisbury in March. It also confirms that Russia believes Skripal was still working with spy agencies after he was brought to Britain. 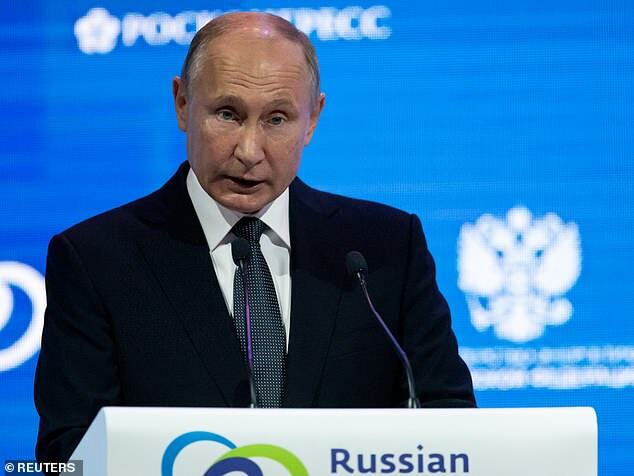 The Russian leader reiterated his country’s claim that it has nothing to do with the poisoning. 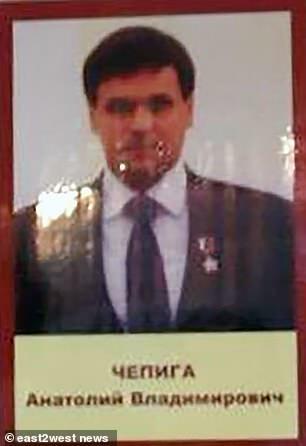 His comments came after a new picture emerged of one of the assassins involved in the attack, GRU agent Anatoliy Chepiga. 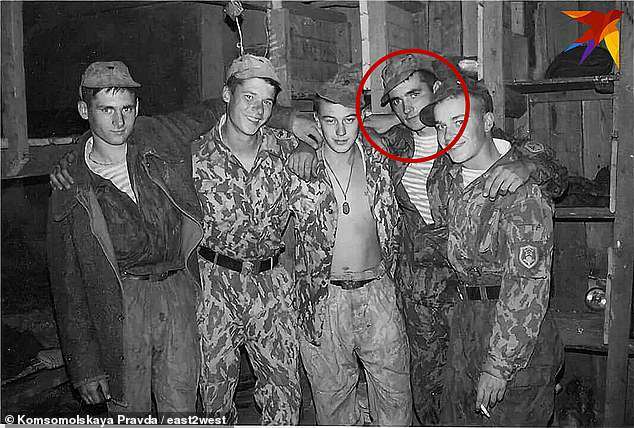 The image seems to disprove Kremlin claims he was not a senior agent who was made a Hero of Russia during a secret ceremony in 2014. The new picture was uncovered by journalists at a Prague-based radio station trawled through hundreds of photos from a wall of heroes at the Far-Eastern Military Academy, which Chepiga graduated from in 2001. ‘From various photographs it could be seen that the wall is decorated with portraits of alumni who have received the Hero of the Russian Federation award,’ reported the Britain-based Bellingcat website, which has led revelations on the story . A portrait resembling Chepiga on the far end of the wall had already been pictured several times, but previously it had not been of sufficient high revolution to establish a conclusive match. Now a new image has emerged showing ‘the face and name of Col. Chepiga with sufficient quality to make identification possible,’ Bellingcat said. 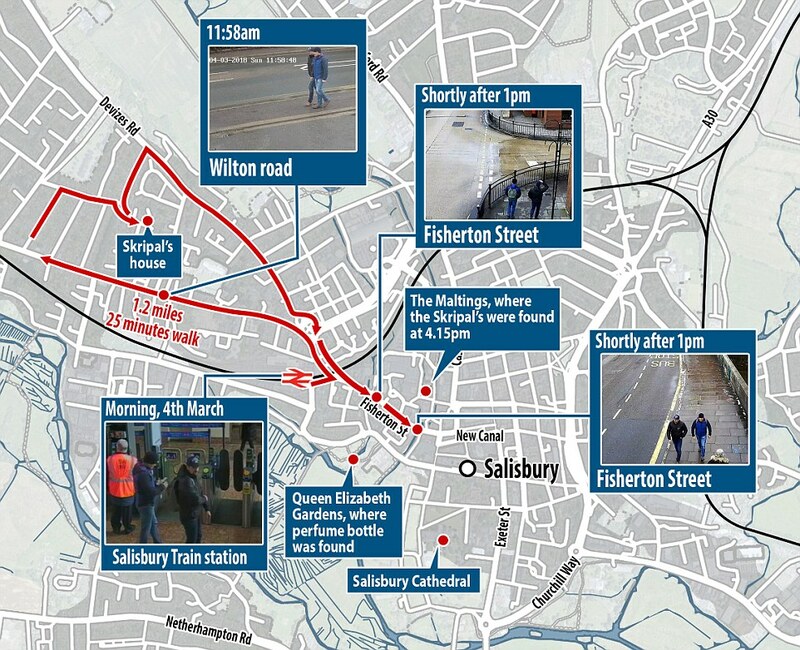 The site claims this matches existing photos of Chepiga, including CCTV stills from Salisbury. 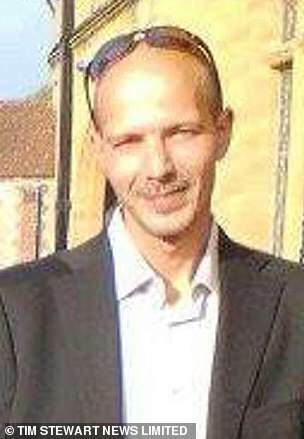 Chepiga, 39, was believed to be using the name Ruslan Boshirov when he and accomplice, identified under another alias, ‘Alexander Petrov’, poisoned Sergei Skripal and his daughter Yulia in Salisbury in March. In a separate new revelation, it has been alleged that Chepiga helped spring toppled Ukrainian pro-Putin president Viktor Yanukovych to safety during the 2014 revolution in Kiev, the possible reason for him being made a Hero of Russia. Russian journalist Sergey Kanev of the Dose [Dossier] Centre also claimed Chepiga’s wife Galina, with whom he shares two children, had also worked as an undercover agent. Kanev fled Russia before making his claims and is now ‘safe’ abroad. Yanukovych was spirited out of Ukraine in 2014 as protesters took hold of capital city Kiev. The fallen president – renowned for his gargantuan corruption – claimed he was shot at as he fled. Acting on the assumption ‘Ruslan Boshirov’ was a GRU officer, Bellingcat spoke to former Russian military officers to ask where he might have been trained. One suggested the Far Eastern Military Command Academy, so they browsed through its graduation photos to find a man who resembled him. 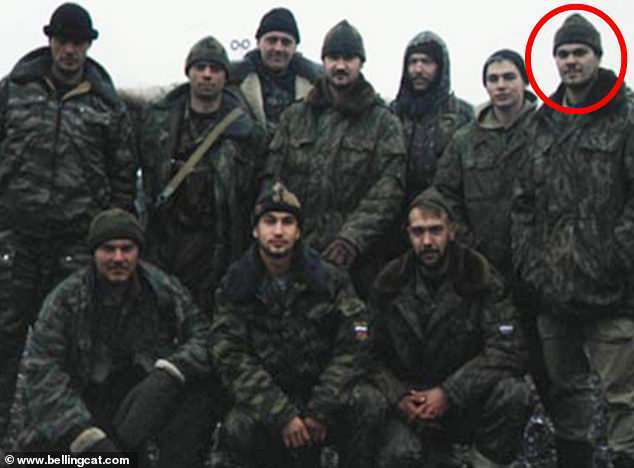 They found one possible match, which seemed to show him with a group of graduates in Chechnya (see top of the article). The photo said seven of the men had won at Hero of the Russian Federation of the award, so Bellingcat searched the award on the Internet along with ‘Far Eastern Military Command Academy’ and ‘Chechnya’. This led to a page of the Volunteer Union website, which listed a colonel called Anatoliy Chepiga, who was linked to all three search terms. They then found his name twice in leaked lists of residential addresses, which gave his date of birth as April 5, 1979. This was one year later than ‘Boshirov’s’ cover documents, but matched up with his graduation from the military academy. 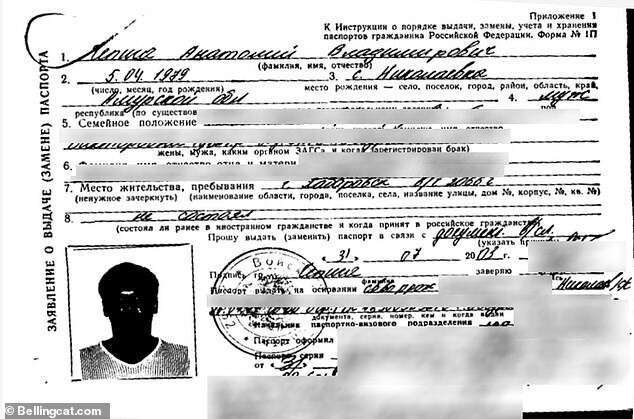 Bellingcat then obtained a passport file for Col Chepiga from 2003, and found his photo strongly matched a 2009 passport photo of ‘Boshirov’ released by UK police, as well as his cover passport shot. He was smuggled to Crimea and now lives under close guard in Russia. ‘Chepiga-Boshirov took part in the evacuation of Yanukovych to Russia – at least my sources claim so,’ wrote Kanev. One theory is that he was taken to safety by a Russian submarine. The operation was led by former Putin bodyguard Alexey Dyumin, now governor of Tula region. Dyumin is being groomed by Putin as his choice as his Kremlin successor, claim some experts. Putin is known to have taken an exceptionally close interest in the operation to spring Yanukovych which – combined with the medal award – would suggest he knew of Chepiga at first hand. Soon after Yanukovych was taken to Russia, Putin annexed Crimea from Ukraine sparking outrage in the West. Chepiga’s wife is said to have worked as a ‘freelance’ in a detachment ‘of special purpose’ of Khabarovsk region. The military unit was 20662. Chepiga was also attached to the same military unit where his wife allegedly worked undercover. Later both were traced to an address in Moscow listed in a student hostel of the Russian State University for Humanities on Kirovogradskaya Street. Yanukovych’s lawyer denied Chepiga has played a role in his rescue. Putin’s lies over the Salibury poisoning were exposed by Bellingcat when it named Colonel Chepiga on September 26. Bellingcat is a British investigative journalism website that specialises on war and the criminal underground. It started as a blog in 2012 by Eliot Higgins, and relies on information gathered by ‘citizen journalists’ – members of the public who do not work for a professional journalism organisation. The site first received international attention for its analysis of forged data on satellite pictures showing the downing of Malaysia Airlines Flight 17 during the war in Ukraine. Its name comes from the expression ‘belling a cat’, which derives from a medieval fairytale about mice which plan to make a cat harmless by putting a bell around its neck. Only a few weeks before, Vladimir Putin went on television to claim that two suspects captured on CCTV were civilians and not GRU military intelligence officers. The Kremlin was branded shameful for claiming Chepiga and his unknown accomplice, who used the alias Alexander Petrov, were holidaymakers. The two Russian agents were charged over the poisonings by the Crown Prosecution Service earlier this month. But they later appeared on Russian TV to insist they were visiting Salisbury for its cathedral. As the bungled attack that left one dead and three seriously ill took another twist: It emerged that Chepiga fought for a feared Spetsnaz unit for 17 years and worked undercover for at least nine. 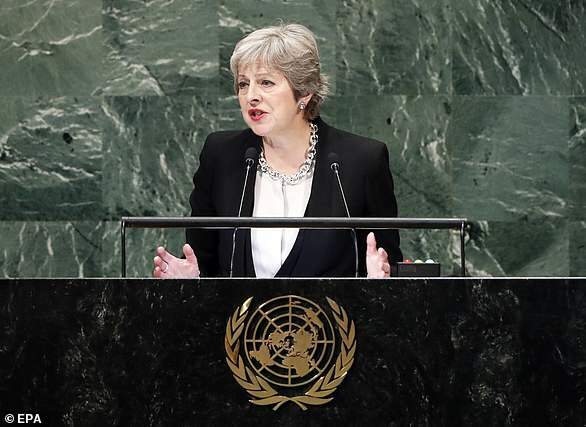 The Prime Minister attacked Russia for its ‘desperate fabrication’ over the Salisbury spy poisoning as she addressed world leaders in New York in September. Britain has set out detailed evidence about the prime suspects in the nerve agent attack on former spy Sergei Skripal and daughter Yulia while Russia has only sought to ‘obfuscate’, she said. Mrs May called on Russia to rejoin the international consensus against the use of chemical weapons and said there should be no doubt of the international community’s determination to take action if it did not. She said: ‘We cannot let the framework be undermined today by those who reject the values and disregard the rules that have kept us safe. Sources said the soldier’s high rank – the same as his intended victim, Colonel Sergei Skripal – suggested the attack was sanctioned at the highest level. Senior politicians queued up to accuse the Russians of being ‘seriously dishonest’ and lying about their complicity. What is the Novichok nerve agent used against the Skripals? Novichok was secretly developed by the Soviet Union during the height of the Cold war in the 1970s and 1980s. Communist scientists developed the poison so it would not be able to be detected by Nato’s chemical detection equipment. They come in the form of a ultra-fine powder, Novichok is up to eight times more potent than the deadly VX gas. Victims who are poisoned by the powder suffer muscle spasms, breathing problems and then cardiac arrest. There is a known antidote to the nerve agent – atropine can block the poison. But doctors find it very tricky to administer the antidote because the dose would have to be so high it could prove fatal for the person. The identity of Chepiga was uncovered by investigative organisation Bellingcat, best known for its insight into the fighting in Ukraine. It found that Chepiga has won more than 20 awards and a Hero of the Russian Federation medal during his illustrious military career. Born in the isolated village of Nikolayevka, on the Russian-Chinese border in 1979, he is married with a teenage son. In 2001 he graduated from the Far-Eastern Military Command Academy before being deployed to Chechnya three times. His name appears under a gold star honour list on a monument to academy alumni at a base near the Chinese border. The medals are normally awarded by the president personally, and are given only to a handful of people each year. Unlike most recipients there is little public information about Chepiga’s life and official documents are marked ‘top secret’. The secretive nature of the award, combined with its timing in 2014, suggests it was for actions in Ukraine. His Spetsnaz unit was pictured on the eastern Ukraine border. 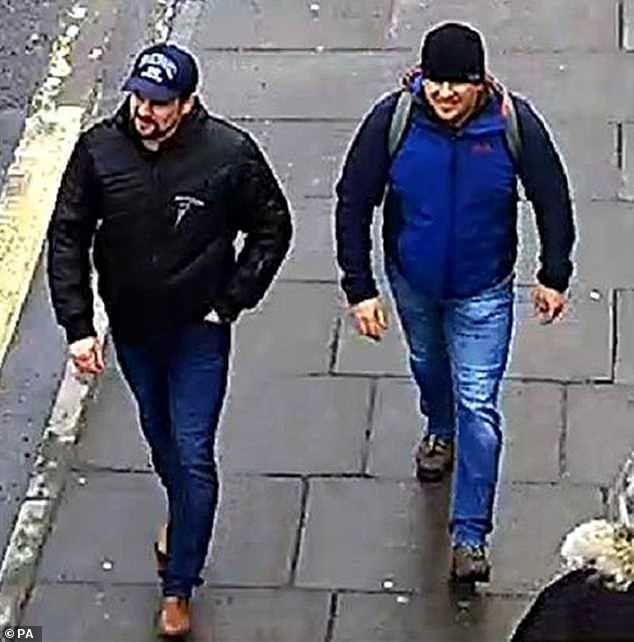 CCTV released by police places the two suspects at Sergei Skripal’s suburban house. Today the men admitted they may have ended up there – but claimed it was an accident. The property, which had Novichok smeared on the door, is 25 minutes away from the city centre and its cathedral – which the men said they were there to see. Ruslan Boshirov said: ‘Maybe we passed it, or maybe we didn’t. I’d never heard about them before this nightmare started. I’d never heard this name before. I didn’t know anything about them’. 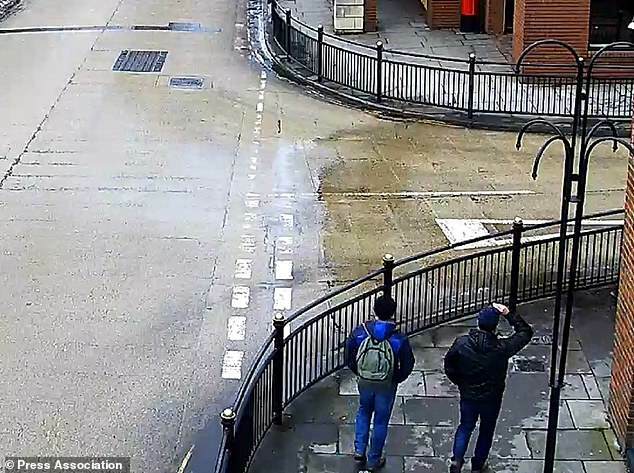 Alexander Petrov and Ruslan Boshirov were guests at the City Stay Hotel in Bow, East London, before poisoning Sergei Skripal and his daughter Yulia. The Metropolitan Police confirmed today that ‘low’ levels of the nerve agent were found in the two-star £48 a night hotel in May. The men chose a spot some distance from Waterloo – the main rail route to Salisbury – despite making the Wiltshire city the focus of their visit. It is 127 miles from Salisbury. 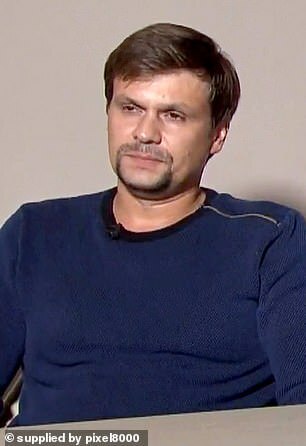 Alexander Petrov and Ruslan Boshirov claimed that they only stayed in Salisbury because of heavy snow. The pair visited days after the Beast from the East hit Britain bringing unseasonably cold weather. Describing the condition Boshirov said: ‘It was impossible to get anywhere because of the snow. We were drenched up to our knees’. But CCTV pictures of the men shows the pavements were largely clear of snow. They also told RT that it snowed in the city that afternoon, but weather maps from that day show sunshine and clear skies. The men went straight from Salisbury to Heathrow for the evening flight. But CCTV suggested that they did not have any luggage with them on their way home. Investigators also found documents that trace Chepiga’s movements around Russia and Europe. He pops up at a remote military unit and in Moscow where he is likely to have studied at the Military Diplomatic Academy, or ‘GRU Conservatory’. The GRU was betrayed by Mr Skripal before he was jailed and sent to the UK in a spy swap. He and his daughter were poisoned in March in Salisbury. 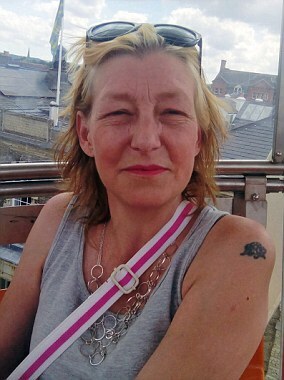 Chepiga and Petrov are also accused of murdering Dawn Sturgess, who was inadvertently poisoned when she discovered a perfume bottle filled with the deadly novichok nerve agent used on the Skripals. Tom Tugendhat, who chairs the Commons foreign affairs committee, said: ‘It is confirmation of what we have known for a long time – that Russia is serially dishonest in its foreign affairs and has again lied about its complicity. – Sergei Skripal, a former Russian military intelligence officer jailed for spying for Britain, is released and flown to the UK as part of a swap with Russian agents caught in the United States. He settles in Salisbury. – Yulia Skripal arrives at Heathrow Airport from Russia to visit her father in England. – Sergei Skripal’s burgundy BMW is seen in suburban Salisbury, near a cemetery, where his wife and son are commemorated. – The BMW is seen driving toward central Salisbury. – The BMW is parked at a lot in central Salisbury. 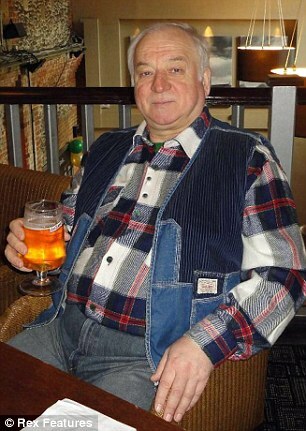 – Sergei and Yulia Skripal visit the Bishops Mill pub. – Sergei and Yulia Skripal have lunch at the Zizzi restaurant. – Emergency services are called by a passer-by concerned about a man and a woman in Salisbury city centre. Officers find the Skripals unconscious on a bench. They are taken to Salisbury District Hospital, where they remain in critical condition. – Police say two people in Salisbury are being treated for suspected exposure to an unknown substance. – Police announce that the Skripals were likely poisoned with a nerve agent in a targeted murder attempt. They disclose that a police officer who responded to the incident is in serious condition in a hospital. 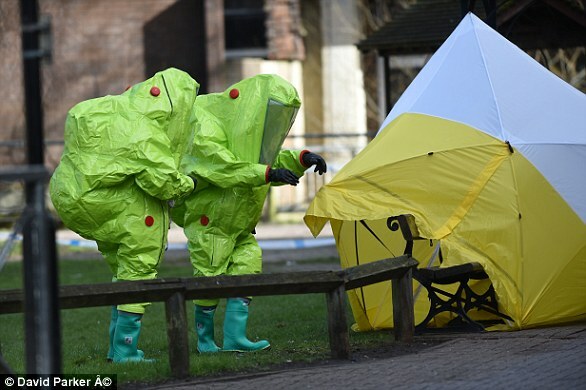 – About 180 troops trained in chemical warfare and decontamination are deployed to Salisbury to help with the police investigation. Russian Foreign Minister Sergey Lavrov says Moscow might be willing to assist with the investigation but expresses resentment at suggestions the Kremlin was behind the attack. 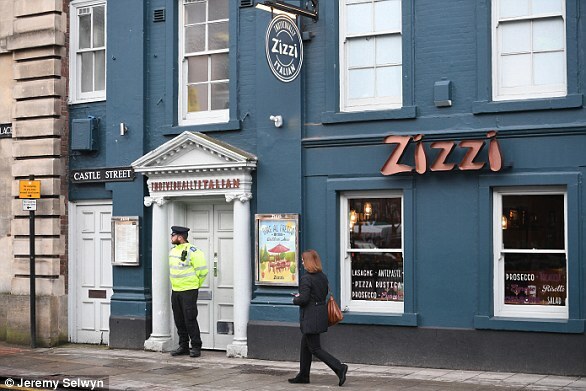 – Public health officials tell people who visited the Zizzi restaurant or Bishops Mill pub in Salisbury on the day of the attack or the next day to wash their clothes as a precaution. – Prime Minister Theresa May tells the House of Commons that the Skripals were poisoned with Novichok, a military-grade nerve agent developed by the Soviet Union during the Cold War. – Public Health England ask everyone who visited Salisbury town centre on the day of the attack to wash all of their clothes and belongings. – The PM announces the expulsion of 23 suspected Russian spies from the country’s UK Embassy. 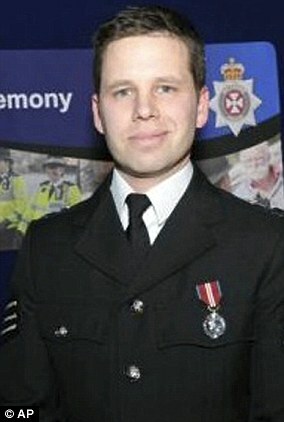 – Nick Bailey, the police officer injured in the attack, is released from hospital. – The United States and 22 other countries join Britain in expelling scores of Russian spies from capitals across the globe. – Doctors say Yulia Skripal is ‘improving rapidly’ in hospital. – The chief of the Porton Down defence laboratory said it could not verify the ‘precise source’ of the nerve agent. – Yulia Skripal’s cousin Viktoria says she has received a call from Yulia saying she plans to leave hospital soon. – A statement on behalf of Yulia is released by Metropolitan Police, in which she says her strength is ‘growing daily’ and that ‘daddy is fine’. – Ms Skripal is released from hospital and moved to a secure location. – Sergei Skripal is released from hospital 11 weeks after he was poisoned. – Dawn Sturgess and Charlie Rowley fall ill at a property in Amesbury, which is eight miles from Salisbury, and are rushed to hospital. – Police declare a major incident after Ms Sturgess and Mr Rowley are exposed to an ‘unknown substance’, later revealed to be Novichok. – Sajid Javid demands an explanation over the two poisonings as he accuses the Russian state of using Britain as a ‘dumping ground for poison’. 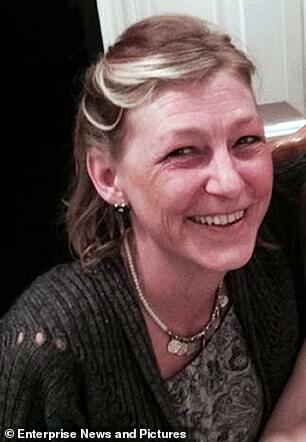 – Mother-of-three Dawn Sturgess, 44, dies in hospital due to coming into contact with Novichok. – Mr Rowley regains consciousness at hospital, and later tells his brother that Dawn had sprayed the Novichok onto her wrists. – Police are believed to have identified the perpetrators of the attack. – Charlie Rowley is rushed to hospital as he starts to lose his site, but doctors can’t confirm whether it has anything to do with the poisoning. – Charlie Rowley’s brother says he has ‘lost all hope’ and doesn’t have long to live. Independent investigators, the Organisation for the Prohibition of Chemical Weapons, confirm the toxic chemical that killed Ms Sturgess was the same nerve agent as that which poisoned the Skripals. 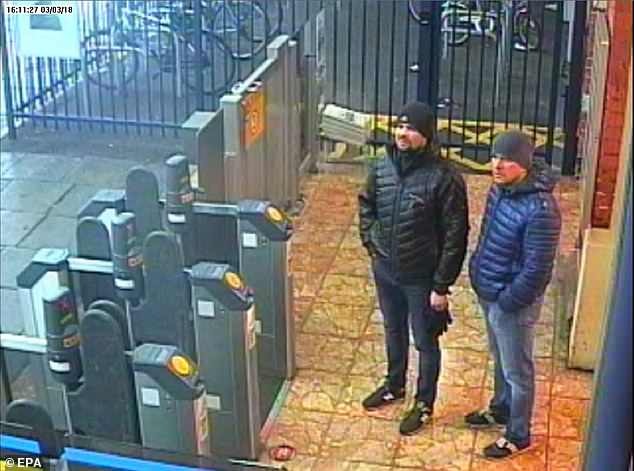 – Scotland Yard and CPS announce enough evidence to charge Russian nationals Alexander Petrov and Ruslan Boshirov for conspiracy to murder over Salisbury nerve agent attack. 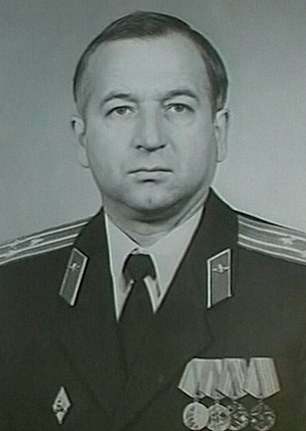 – The real identity of one of the two assassins, named by police as Ruslan Boshirov, is reported to be Colonel Anatoliy Vladimirovich Chepiga. New photo emerges that appears to show Col Chepiga on the Wall of Heroes at the Far-Eastern Military Academy, providing more evidence against the Kremlin’s denials. Deebot N79S robotic vacuum review: why pay more? Utter news and utter facts in utter time!